Q: Why do the driver’s hands in cockpit view only turn the steering wheel 90 degrees to the left or right, instead of matching my own steering wheel? A: A point of confusion among wheel users is the fact that the driver’s hand animations in cockpit view don’t turn the steering wheel more than 90 degrees in either direction. This does not represent the actual in game steering wheel rotation, just as the graphical tire steering lock angle is not a 100 percent representation of the actual physics steering lock. This is one of the reasons a dashboard camera view has been added to game camera views. Q: Why do the car’s front wheels turning angle not exactly match my steering wheel angle? A: Your steering wheel rotation is matched in physics, but not always directly matching the visual angle of your car’s front wheels, depending on the car and speed it is moving. This is only a visual animation of wheel turning and does not map 1:1 with your input or the actual physics controlling the wheels. Q: Does the wheel control how much FFB the game puts out or does the game control how much FFB the wheel puts out? A: The game sends the wheel a normalized torque value. In general, the wheel processes that value as a scale of its total available torque. In a pure linear wheel with no tricks this torque is what you get. Some wheels and drivers may scale that value (FF) or add to it (dampers and springs) depending on your settings. This is what happens with Fanatec’s FF setting. Specific to Fanatec on Xbox or PC in Xbox mode (green ring), high FF values scale torques up substantially and will cause clipping. Clipping is when the output force is higher than the hardware max force. Example, when from physics we send to the wheel a force value higher than 1, this is won’t be felt since is higher than the wheel force capability. The best way to understand that the wheel is clipping, is by driving at high speed with high downforce cars. If you start feeling that there aren’t FFB details and you are pushing against a rubber band when trying to steer the car, you are clipping the FFB. If you run a Fanatec in Xbox mode, we recommend setting the wheel FF around 25 as a starting point. Q: Why are so many gamepad players faster than wheel players? A: Gamepads add additional physics layers which account for some of the missing feel of not actually being in the car. Wheels, comparatively, are raw. The more fidelity and feedback we add to wheels over time, the faster wheel drivers will be. Our goal is to bridge the gap as much as possible. 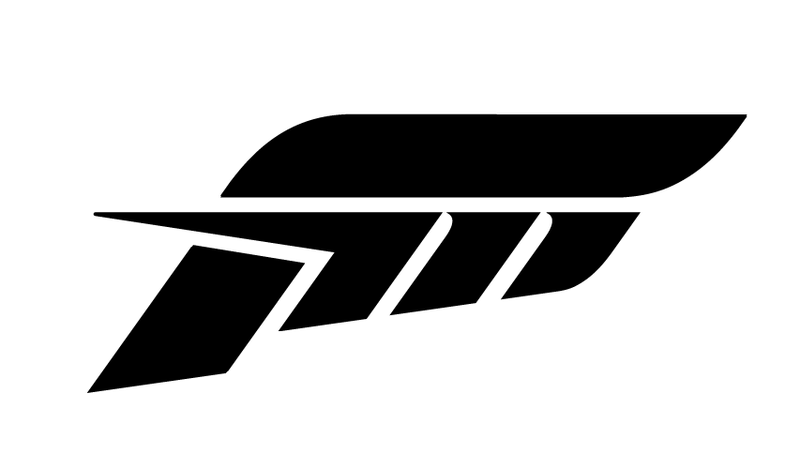 Q: Why does FFB in Forza Horizon 4 feel different between Forza Motorsport 7 and Forza Horizon 3? A: Every Forza game evolves Force Feedback. Forza Motorsport 7 uses a system which has evolved since FM4, each iteration improving on the last. Forza Horizon 4 uses a different system than FM7, and future iterations of Forza games will evolve it further. The reason we have separate systems is because both teams at Turn 10 and Playground Games are advancing FFB with each title. Every iteration has been better than the last. We are always striving to improve the system as well as the options available for players to fine tune settings to their preferred play style. Even if the two games shared the same FFB system, they would feel different. While FM and FH games share the same physics engine and car physics data, Horizon uses a different handling model and tire compounds to suit its open world gameplay (slow-moving and oncoming traffic, off-roading, faster roads and turns in general than race tracks, etc.). Motorsport and Horizon handling feels familiar, yet different, to those who play both using a controller or a wheel. Q: Why does my car understeer or oversteer with my wheel? Is this an FFB problem? If you have too much oversteer or understeer, change the setup of your car (spring, anti-roll bars, differential accel/decel, camber front/rear, toe, front/rear damper) to fix the issue and make the car drive as you like. You cannot tune a car by tuning FFB. Force Feedback only helps you to feel understeer, oversteer and in general what is going on with the car, but it does not change the way the car drives from a physics point of view. You will find the car easier to drive with FFB tuning that suits your driving style best, but the car effectively is the same. Q: How do I know if I have the right software, drivers, and firmware for my wheel. Q: I play on PC and my wheel has both PC and Xbox modes. What is better? A: In the case where your wheel has an Xbox mode it's best to install the driver and run it in PC mode. While it will work in Xbox mode, the experience will be better in PC mode as you can tune the driver settings to your liking. Q: Why doesn’t the wheel profile I have from another game work the same in FM7? A: The tuning in Forza Motorsport 7 was done using the out-of-box settings for all wheels. If you have driver or wheel settings from another title, even a Forza title, it's suggested that you start with the defaults and tune to your liking in FM7. If it works great in one game, that doesn’t necessarily mean it’ll work great in another, even other Forza games as our FFB systems are always evolving. Q: My wheel is pulling to the left. What’s going on? A: Don’t leave a wheel idling for long periods of time. This tends to result in wheels pulling to the left, for example. This gets worse over time. Power down your wheel when not in use. If you can’t find the solution to your wheel problem in this guide or FAQ, please submit a ticket below and one of our Customer Advocates will be able to assist.